The leaves have only begun to change in North Alabama, but they are beautiful to a Florida transplant of more than four decades. 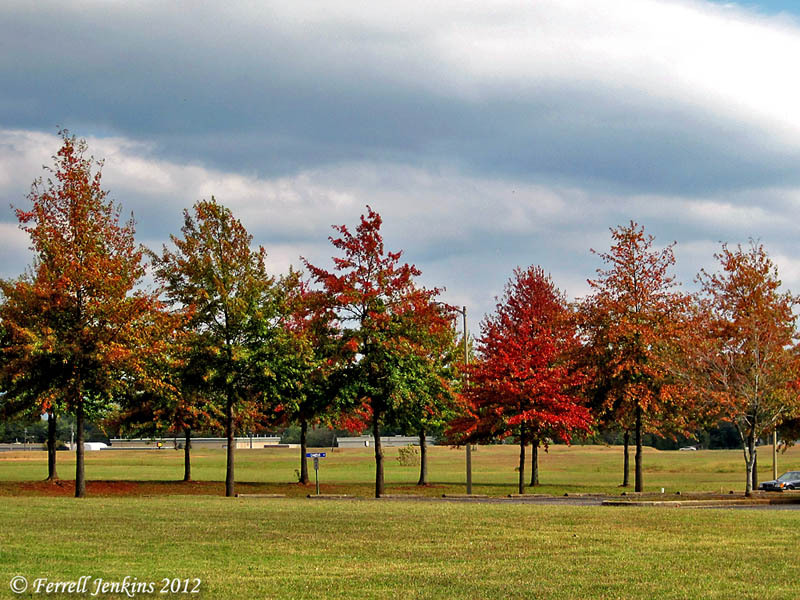 Fall Leaves in North Alabama. Photo by Ferrell Jenkins. There are perils of driving at this time of the year. I am not a bird watcher, but I do watch for geese crossing the street. The best I can tell, from a few minutes on the Internet, these are Canadian Geese. Geese in North Alabama. Photo by Ferrell Jenkins. 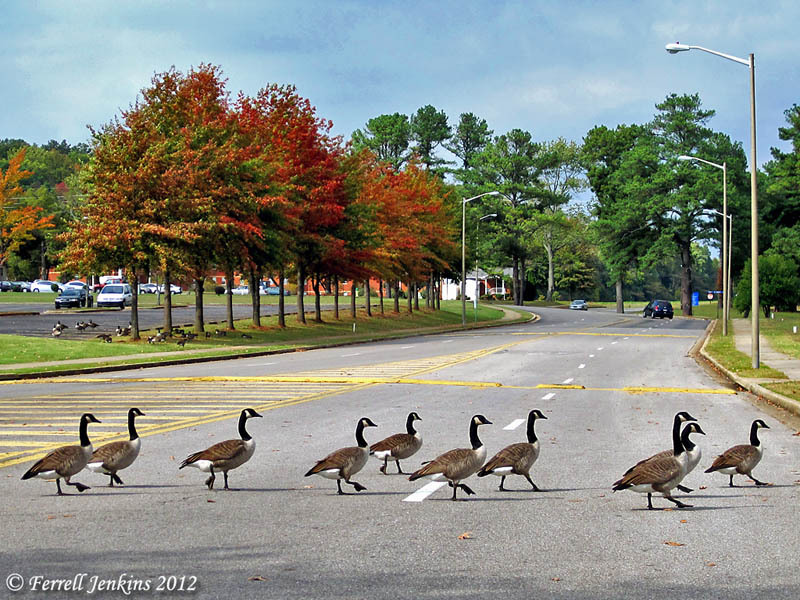 This entry was posted in Culture, Photography, Travel and tagged Canadian Geese, Seasons of the year. Bookmark the permalink. Friend OB tells me these geese should be called Canada geese instead of Canadian geese. He says that many of them no longer migrate, but stay in their “sweet home Alabama” the year round. This distinction might give Linnaeus a fit. Early today a small flock of the birds flew across the road directly in front of my rental car. I was thankful not to be in a jet plane.